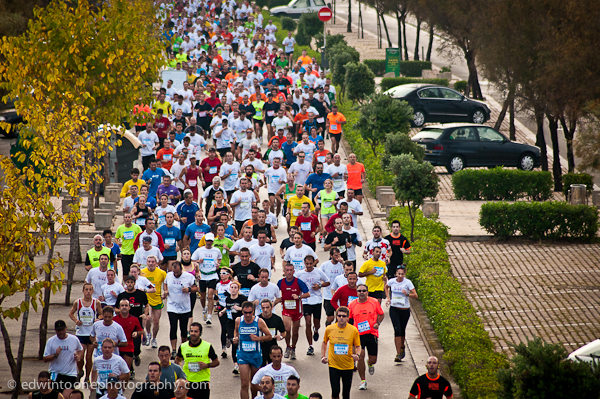 The rain held off long enough for most people to finish the marathon in Castelldefels, just south of Barcelona, today. There were actually 3 races going on all at once, a 10k, half marathon, and a full marathon. The winner of the full was a real surprise winning his first ever marathon with a time of 2 hours 38 minutes. When asked by reporters what he did to prepare he said that he had done some triathlons and he enjoyed riding his bike but he had never run much more than 30k before this race. I guess some guys just have it.